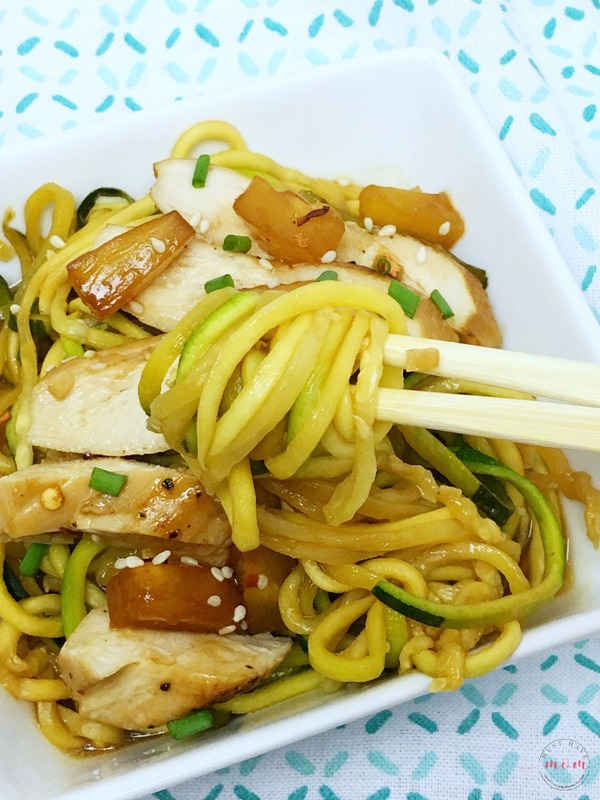 Easy Teriyaki Chicken with Zoodles Dinner Recipe! *This post was created in partnership with Ninja® Intelli-Sense™ Kitchen System with Auto-Spiralizer™. I received complimentary products and compensation to facilitate my review, but all opinions within are my own. 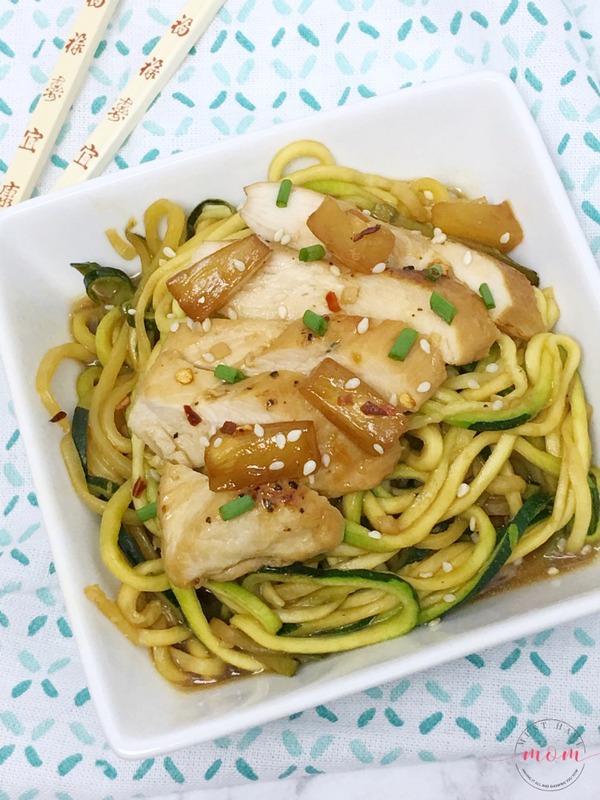 This quick and easy Teriyaki chicken and zoodles dinner recipe is packed full of flavor and it whips up in not time, making it an easy weeknight meal idea! 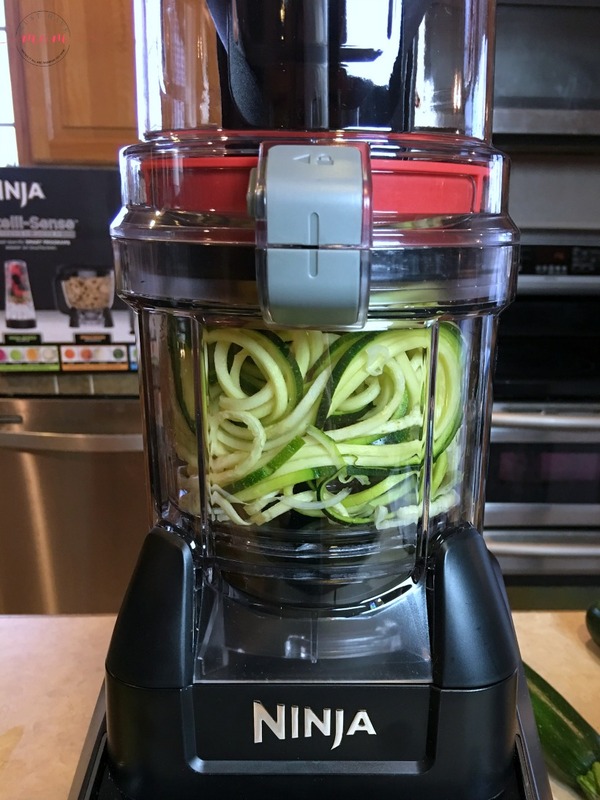 Thanks to the Ninja® Intelli-Sense™ Kitchen System with Auto-Spiralizer™ you can even whip out zoodles (zucchini noodles) in less than a minute! I’ll show you how! Plus be sure to scroll to the end for a chance to win your own amazing Ninja Intelli-Sense Kitchen System with Auto-Spiralizer!! 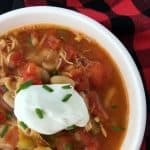 I love making healthy dinner recipes that my whole family can enjoy. This one hit the spot! 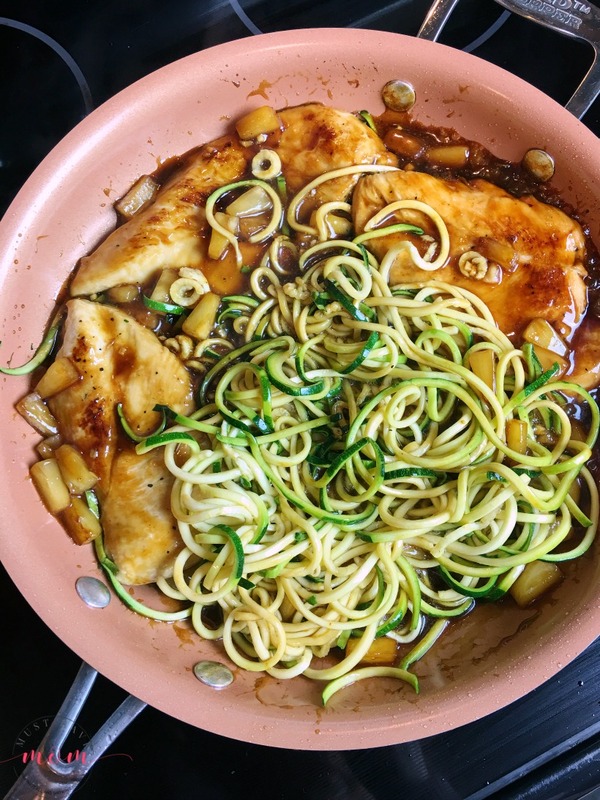 My kids loved the chicken and I loved the healthful swap of spiralized zucchini in place of carb-heavy pasta! 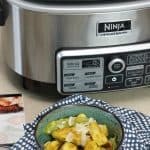 I’ve told you of my love for the Ninja® brand before in my Ninja® Cooking System with Auto-iQ post, and I have one more Ninja® appliance I can’t live without that I just have to tell you about! 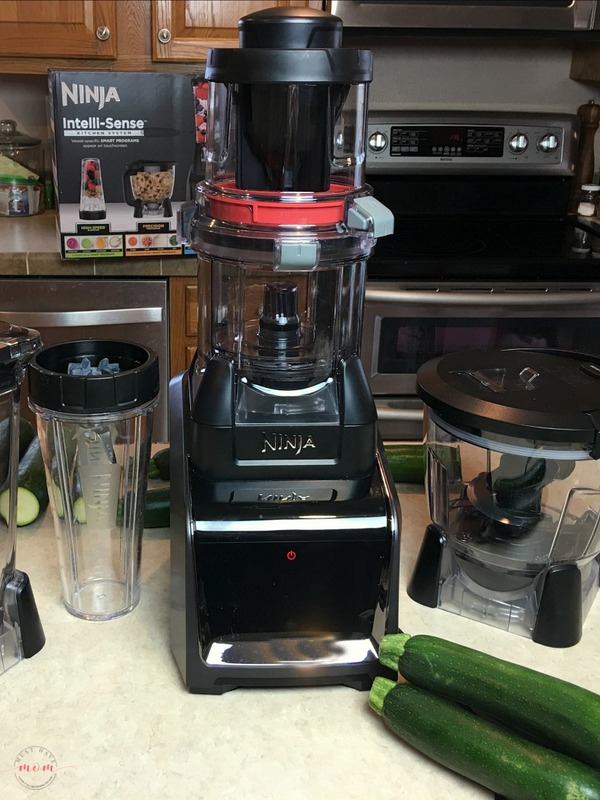 I recently upgraded my Ninja® blender to this beauty of a kitchen system AND I was able to get rid of my food processor since this has one too! It’s AMAZING how much it can do! The Ninja Intelli-Sense Kitchen System with Auto-Spiralizer has one smart base that transforms into four high-performance appliances including a 72 oz. Total Crushing® Blender, 64 oz. Precision Processor™, 24 oz. Single-Serve Cup, and Auto-Spiralizer. It’s AMAZING! I love the Intuitive Touchscreen and Smart Vessel Recognition, which automatically senses which vessel is attached to the base and the touchscreen changes to display a customized menu of Smart Programs on the touchscreen, enabling one Smart Base to become four high-performance appliances! Pretty impressive! It also features 12 Smart Programs that are Chef-designed, automatic recipe creations that deliver optimal results every time. It is SO cool when you press the button and precisely calibrated patterns of pulsing and pausing combined with ideal speed, power and torque for each attachment create everything from fresh salsa and pizza dough to margaritas and decadent ice creams—all it takes is a simple tap! 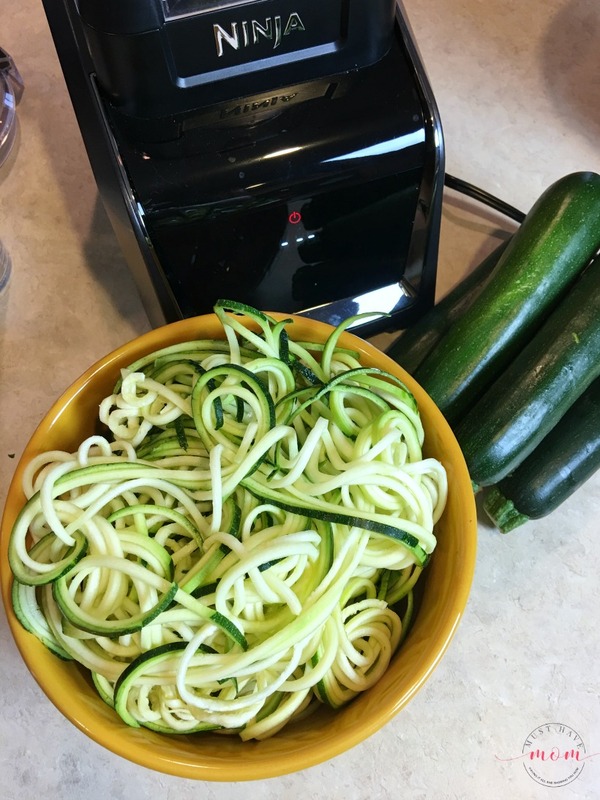 These zoodles are just one of the amazing things this Ninja Intelli-Sense Kitchen System with Auto-Spiralizer can do. It’s SO easy and I never thought making zoodles could be so effortless. 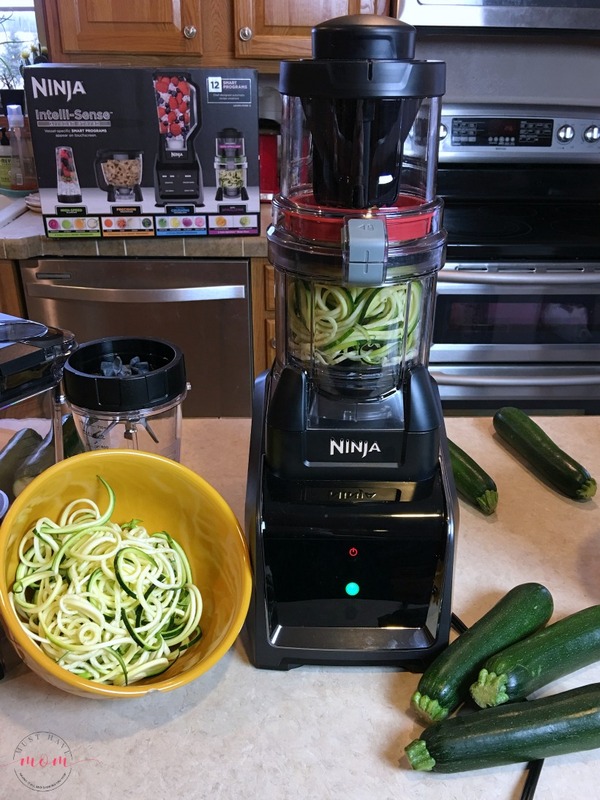 Begin this recipe by making zoodles using the Ninja Intelli-Sense Kitchen System with Auto-Spiralizer. Want to see how easy it is? I know you do! I shared a quick video demonstration of how it works on my Instagram channel. 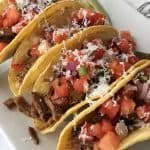 I’m able to make so many quick and easy dinner recipes using my Ninja Intelli-Sense Kitchen System with Auto-Spiralizer. This would make an amazing gift idea for anyone that needs quick dinner ideas! Next, mix together the ingredients for the teriyaki sauce in a small bowl. 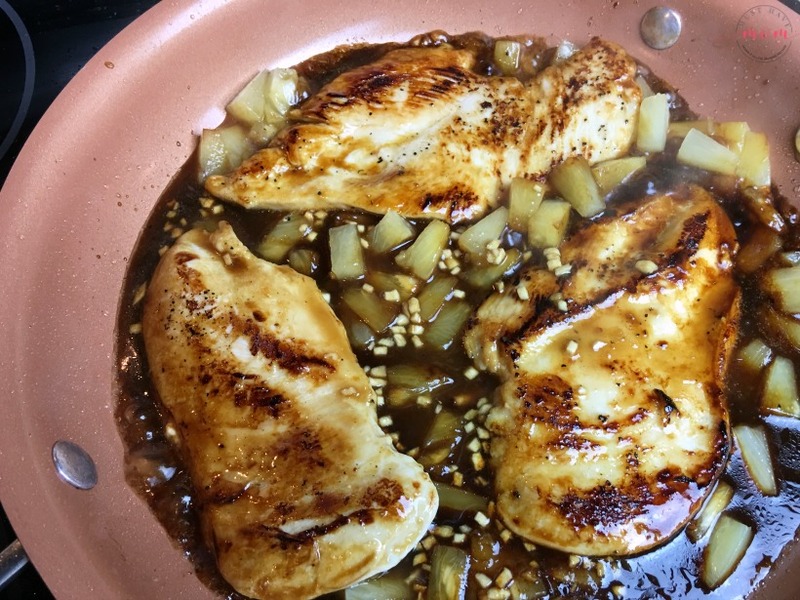 Then, season chicken with salt and pepper and drizzle 1-2 tablespoons of your sauce over them. Heat oil in a skillet on medium high heat. Add chicken and cook until brown, flip and sear opposite side until brown. Then, add pineapple and cook for a minute to soften it. Add remaining sauce and turn heat up to high. Allow sauce to bubble and thicken (1-2 minutes). Finally, add your zoodles to the pan and toss with sauce. 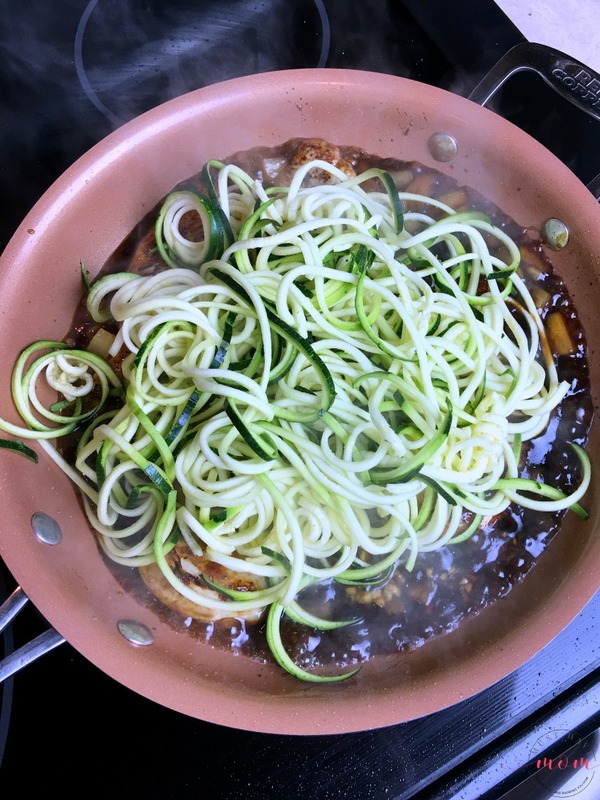 Cook until zoodles are al dente (firm but cooked). Taste the zoodles and be sure not to overcook them! You don’t want them to turn to mush. 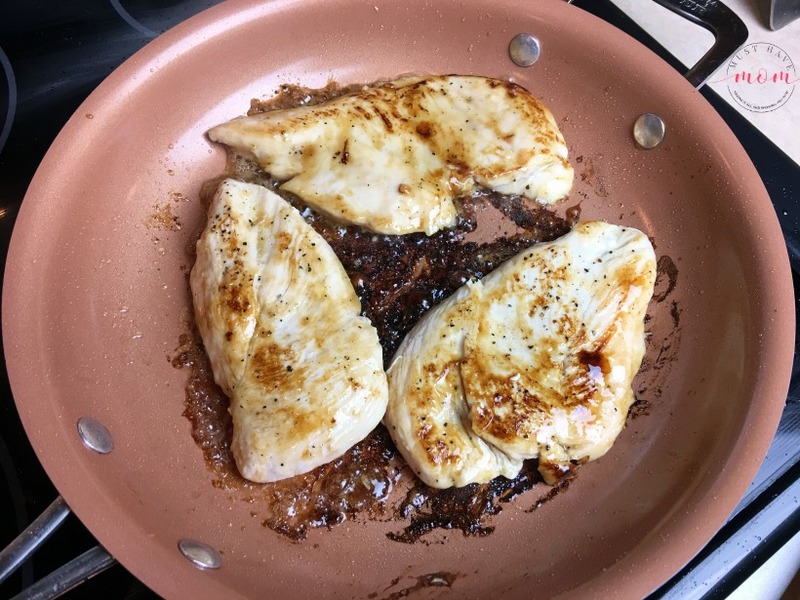 It only takes a couple minutes to cook them in the pan. 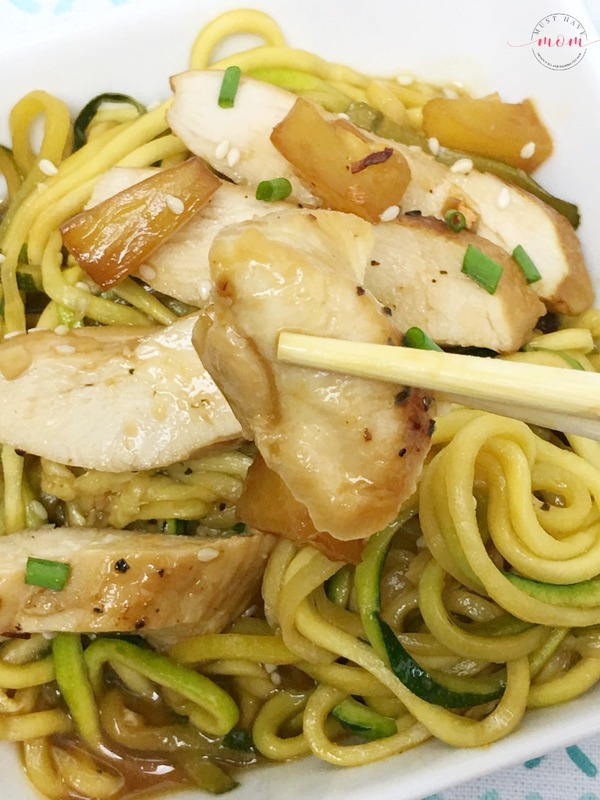 Serve your teriyaki chicken and zoodles immediately. You may garnish with green onions, sesame seeds and crushed red pepper, as desired. This teriyaki chicken is better than takeout and full of flavor! My kids LOVED it and there was nothing left in the pan by the time everyone was done eating. They devoured it. Have a little fun and eat your zoodles with chopsticks! 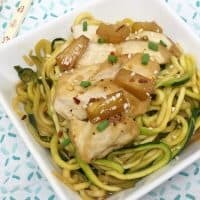 The combination of al dente zoodles with tender, moist chicken and juicy pineapple makes for an amazing easy dinner recipe that is sure to please. Twenty-Five (25) winners will be randomly selected and will each receive one (1) Ninja® Intelli-Sense™ Kitchen System with Auto-Spiralizer™. Giveaway runs 11/10 – 12/31. Winners will be randomly selected from all program entries and Ninja will facilitate fulfillment of the 25 winning prizes. 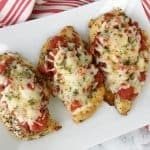 Quick and easy dinner recipe! 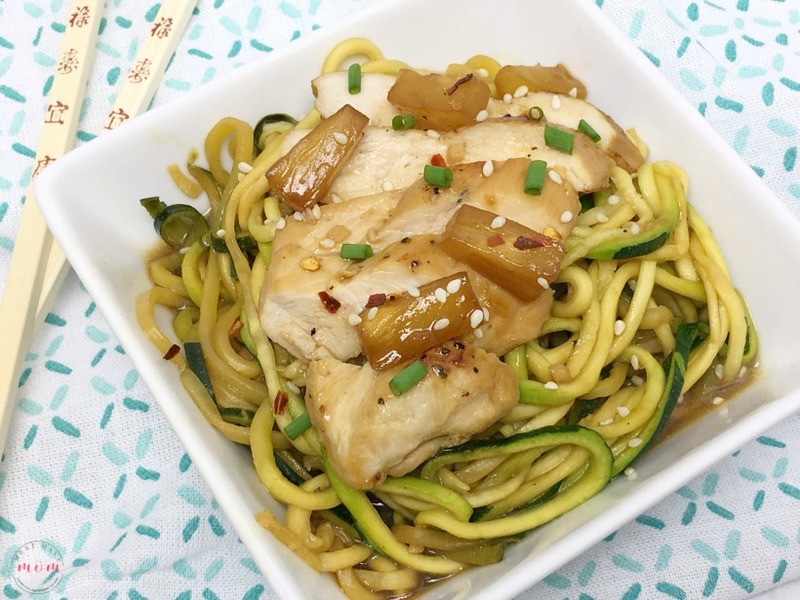 Teriyaki chicken and zoodles using healthy ingredients and delivering a better-than-takeout dish that the whole family will love. Whisk together ingredients for the sauce and set aside. Season chicken with salt and pepper. Drizzle 1-2 tablespoons of sauce over the chicken. Heat oil in skillet on medium high heat. Add chicken and cook until seared and brown, flip and repeat on opposite side. Add pineapple and cook for 1 minute to soften pineapple. Add remaining sauce and turn heat up to high. Allow sauce to bubble and thicken (1-2 minutes). Once sauce has thickened, add zoodles to the pan and toss to coat. Cook 2-3 minutes or until zoodles are al dente (firm but cooked). Serve immediately and garnish with crushed red pepper, sliced green onions and sesame seeds. Easy Coconut Chicken Curry Dinner Recipe + Ninja Cooking System with Auto-iQ Giveaway! This looks absolutely delicious! We’ve never tried noodles before, I think they might work great with the teriyaki sauce. This recipe looks delicious. 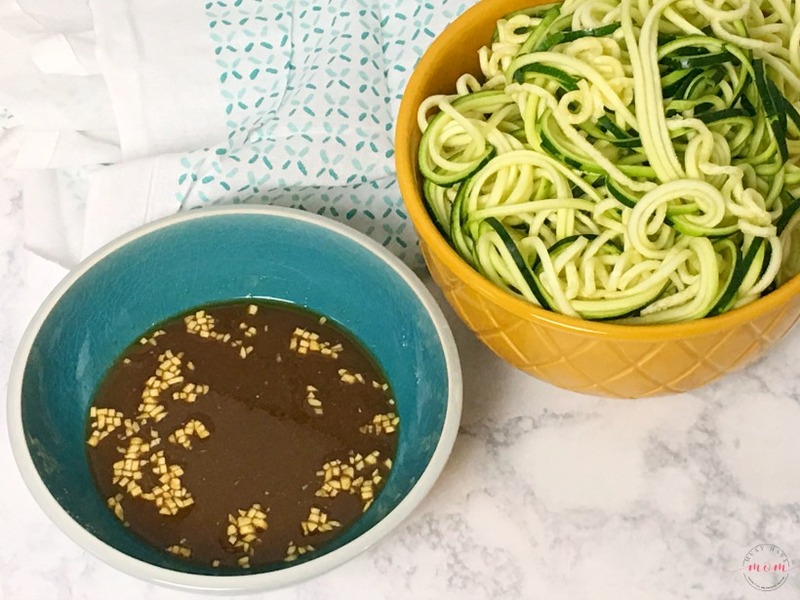 I have been using zoodles a lot lately, I need to try this one! Oh that is awesome! I currently have a hand crank spiral cutter, and it is SO difficult. I need this ninja. I love any and everything teriyaki. Top it with zoodles and I am in heaven. That Ninja system is really a state of the art food processing system that I wish i could get for the holiday season. I am vegan so i need to learn how to make and cook zoodles to perfection instead of pasta. This dinner looks really good! I would love to create it for my family! Oh man I wish I could eat this right off my screen! The looks SO delicious and I know it wold hit the spot for me! I will have try this! This sounds so delicious! I love that the Ninja Kitchen System can open up so many recipe possibilities! This looks really good! I have been wanting this spiralizer from Ninja. I think it looks like an awesome product. I already have many of their products, so I know I love them. THat sounds delicious! I have a spiralizer on my Christmas list. I think I’d use it a lot. 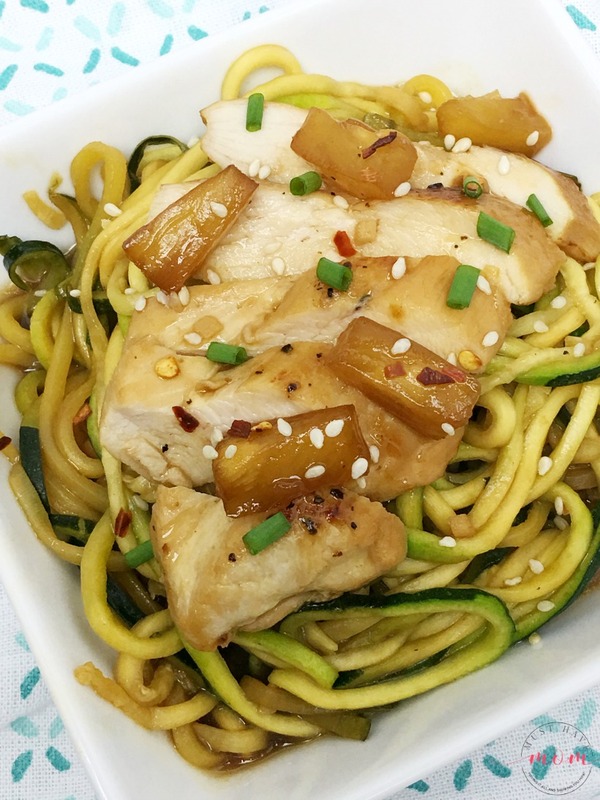 Oh my this Teriyaki chicken and zoodles dinner recipe looks so delicious and easy to make. I am sure it will be a big hit. I will have to add it to my meal plan for next week. Yum! I love that the Ninja can be used in so many great ways. I love mine! That is impressive. I need to get this Ninja. Your teriyaki chicken looks absolutely scrumptious. That dinner looks fabulous! I can’t believe you can make all that at home. Yum! What a yummy dish! Zoodles are my favorite to eat for dinner! This sounds AMAZING! I think the Ninja needs to go on my wish list!